Creates a DirectX window application. Contains a Visual Studio project configured for DirectX. 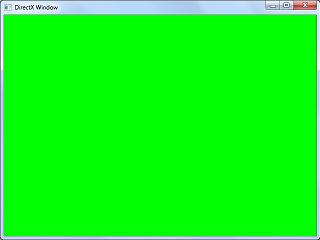 Demonstrates how to use the Graphics class to create a DirectX window. Creates a full screen DirectX application. Demonstrates how to use the Graphics class to create a full screen DirectX application. Displays a dialog box if the graphics device does not support the specified resolution and/or format. Demonstrates how to use the Graphics::isAdapterCompatible function.